If you have accidentally deleted a file from your trash or recycle bin, you will need data recovery software to be able to recover the file back onto your computer. It is possible to recover accidentally deleted files from your computer with a reliable data recovery software. However, deleted file recovery is not guaranteed since there are ways the files can become unrecoverable. For the best recovery results when recovering a deleted file, you will want to take certain precautions during the recovery and use a recovery tool that can verify file integrity, such as Data Rescue. Data Rescue is the most comprehensive data recovery software if you are looking for Mac hard drive recovery software or Windows data recovery software. Prosoft Engineering created this data recovery solution in-house over 10 years ago and Data Rescue is still continually optimized and updated for better recovery results and improved features. The recently optimized version of Data Rescue has email notifications and an improved design for PC users for a much easier guided recovery. A file can be deleted from your computer in a couple of ways. You can either move the file to the trash or recycle bin and erase it from there, or accidentally initialize and erase your entire hard drive. In both scenarios, it is best to perform data recovery immediately, as this will ensure better recovery results. Once a file has been removed from the recycle bin, the operating system will remove the information pointing to that file’s location on the hard drive.The metadata, which includes the filename and folder structure, is also removed. This causes the area on the drive where that file was stored to be registered as new available storage space where more files can be written to. When new data is written to that same area, the original files are then overwritten and become unrecoverable. During the scanning process of the data recovery software, the software tells the operating system to search through the area that is registered as “free space” to locate the file that was deleted. 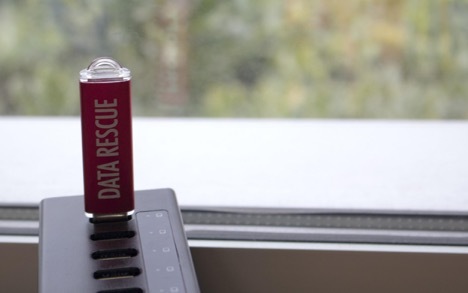 When using Data Rescue for recovering deleted files, it is recommended to run a scan immediately and either download the software to an external drive or create a recovery drive using Data Rescue. The preferred scan to use is the Deep Scan, since it searches both the free and used space of your hard drive for all known file types. If you are looking for a file type that is not supported by default you can use the FileIQ feature, which will allow the software to learn the file type. Usually when a file is deleted the metadata will be lost, meaning that you may or may not see your original folder and file names. If your drive was not mounting, was corrupted, or the data was made inaccessible by a process other than deletion/formatting, your original directory (including file and folder names) may be recoverable. If you have deleted data or lost it due to reformatting, the files will be organized by file type and extension, and will not have their original names. For example, if you were looking for a Word file that was deleted, you would be able to navigate to a reconstructed folder containing a list of documents the scan found with the extension .docx. 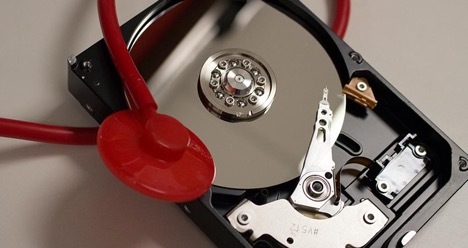 Remember that data recovery is possible, and you will increase your chances for a successful recovery the sooner you use data recovery software, such as Data Rescue, to scan your hard drive. If you have any questions about using Prosoft Engineering Data Rescue software, you can contact them for support through chat or email on their website. Previous: How to Guarantee Safety while Gaming Online?